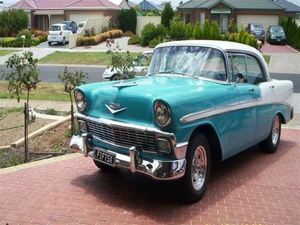 1956 Chevrolet bel air .4 door pillar-less coupe. truly a collectors dream , very rare .Rust free original Californian import , left hand drive , complete ground up restoration , with 283 small block 600 holly . motor fully rebuilt with turbo 400 .